Christmas is so close you can probably taste the peppermint candy canes filling your stockings. But how many of you are actually ready – as in finished – with all of your holiday shopping? The thought of heading anywhere close to the mall right now makes many of us shudder in fear. The people, the lines, the traffic! But if you’re like millions of Americans, you already know that shopping online is the only way to go. The number of online shoppers increases with each passing year as technology gives us more and more with just the swipe of a screen. But as additional people rely on the ease and selectiveness of online retailers, some companies may struggle to meet demand with their physical data centers. If you have any idea how data centers work then you know how pricey high configuration costs can get. This is not the same with the cloud. Amazon Web Services (AWS) operates based on a consumption model which simply means, you pay for what you use. And because you’re in the cloud, the overhead costs that come with operating servers 24/7 are eliminated. Remember why most and more Americans are shopping online? Lines. Long lines. And inevitably, website visitors can feel the same frustration when a website takes too long to load. Two seconds is the magic number. Most web users expect a webpage to load within 2 seconds – and if it hasn’t, they tend to leave! 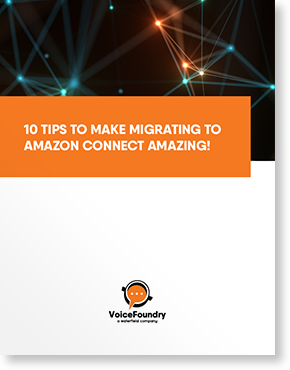 By using Amazon’s server reach, you’ll guarantee lightening speed load times to keep your customers happy and not wandering away.